How to generate script using SSMS GUI? You can generate script of GUI functionality by clicking below high-lighted option in the image. It will give you all the below options. 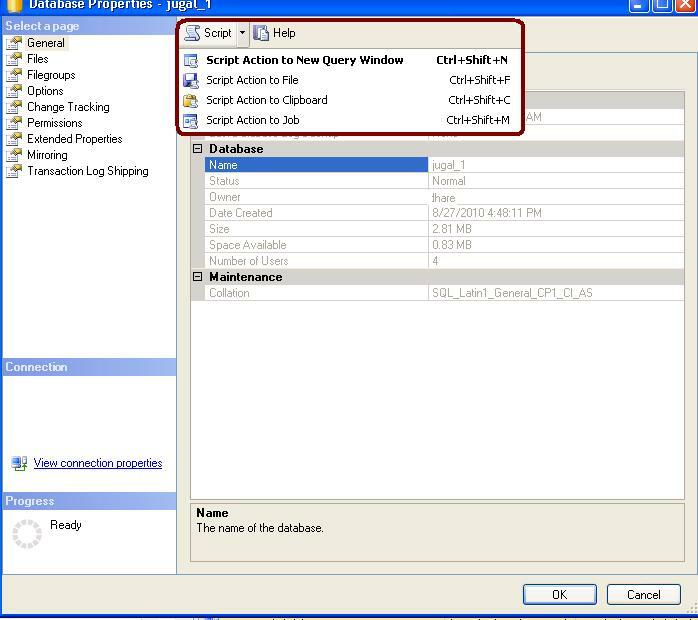 This entry was posted in SQL Server on December 6, 2010 by Jugal Shah.